Mindfulness and acceptance-based approaches are growing in evidence and popularity among mental health providers. Acceptance and Commitment Therapy (ACT) is a well-known cognitive behavioral treatment that includes mindfulness techniques and helps patients reduce suffering through values-based behavior change. ACT has an expanding evidence base with research supporting its efficacy in addressing a variety of presenting complaints, such as chronic pain, anxiety, depression, substance use, and other issues likely to emerge in the primary care setting. ACT strategies and interventions can be readily adapted to the fast-paced setting of integrated behavioral health in primary care. This presentation will provide Internal Behavioral Health Consultants (IBHCs) with a greater understanding of the theory and application of ACT, to include brief interventions applicable to the IBHC’s clinical work. The six core processes of ACT will be explained, in addition to metaphors and exercises ideal for helping patients decrease avoidance and increase valued living. A variety of resources will also be shared for learning more about ACT and mindfulness strategies. Once you have completed the "Pre-Registration Questionnaire" you will click on the link titled "This course is a dependency of Using Acceptance and Commitment Therapy (ACT) and Mindfulness Strategies in Primary Care" which will return you to the course landing page. *If you experience problems entering the IBHC Sustainment Training webinar room using the learning management system, please enter Adobe Connect at https://dcoe.adobeconnect.com/dhccibhcnov2014/ where you may request entry as a guest (please use your full name). Audio will NOT be provided via Adobe Connect. Use the following dial-in information to access the audio portion of the webinar. Telephone: 888-455-9039; Participant pass code: DHCC. Continuing education credit is available from Duke Medicine. You must register on or before November 4, 2014, at 4 p.m. (EST) to qualify for the receipt of continuing education credit. 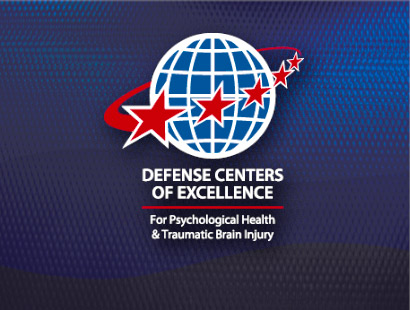 DCoE's awarding of continuing education credit is limited in scope to health care providers who actively provide psychological health and/or traumatic brain injury care to U.S. active-duty service members, reservists, National Guardsmen, military veterans and/or their families.